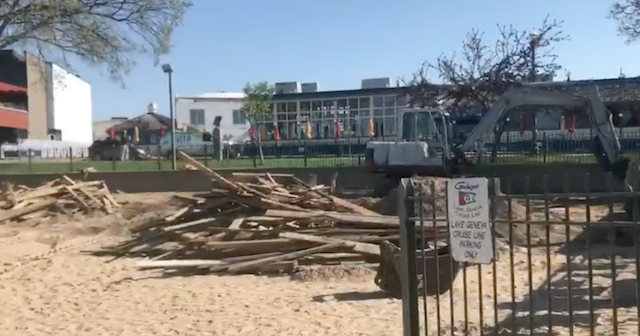 On Monday morning improvements started at the Riviera Beach in preparation for the summer crowds. The old wooden boardwalk that ran the entire length of the beach retaining wall has been removed because, apparently, it takes a lot of work and time to keep it cleaned and uncovered from whatever weather each season will surely bring. Instead of dealing with the deteriorating wood the city has hired “Dan the Concrete Man” to redo the entire walkway with concrete. This new walkway is expected to be done by the end of the day on Wednesday. Will the concrete be as ambient and neat to walk on as the old wooden plank model? The end of the week will reveal a lot about that. The idea behind the Geneva Lakes Arts Foundation pairing up with The Streets of Lake Geneva was to expand, reflect, and bring together the full breadth of art to Lake Geneva. Adding things like live music, theatrical performances, and live mural painting to the 2018 Lake Geneva Arts Festival, should also have attracted more visitors, and foot traffic for merchants and local artists. 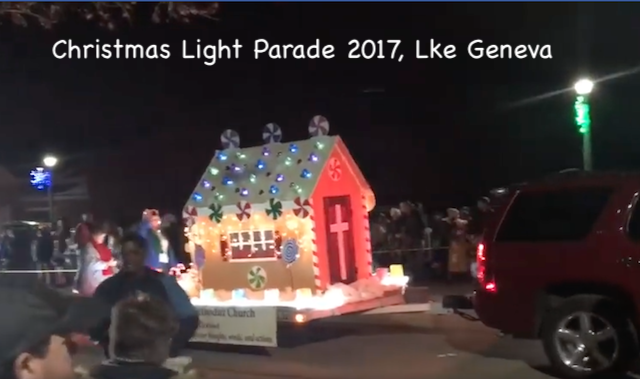 Unfortunately, you could not, as a prospective visitor and spectator, know this event was taking place in the downtown Lake Geneva area. Less than two dozen artists displayed their exhibits. One GSR X-File investigator was particularly looking forward to the finished mural painted in the alleyway, between Geneva Theatre, and Avant Coffee and Bike shop. The alley was blocked off for two and a half days to accommodate all the artists that were planned to be painting the mural. This new idea of civic art, or what was to be a two and a half days of creative progression, didn’t happen, however. There was no paint, no brushes, no artists, and no one to even give an explanation of why there would be no mural. The mostly unknowing public present, or passing by, was just left to stare at the blank wall with no idea of what was supposed to be going on. It’s not gone. Associated closed its Piggly Wiggly satellite branch and has opened a brand-new location on Broad Street right next to the Kwik Trip gas station and convenience store. The old Associated will be sorely missed by many. It used to be open seven days a week. It was so convenient shopping at a grocery store and bellying up to that semi-circle of a counter to do some banking. That experience was terrific. The new Associated Bank will follow the example set by the other banks in town. Set daylight hours and banking for banking alone. No mixing venues or products. The new building has turned out to be much more attractive than the plans seemed to indicate before the structure went up. The public used to get meals for free on airlines and baggage too, but times have changed and Associated felt it had to change too.